The God of the Bible is So Utterly Evil. Why Can’t Christians See That? Gary: Even if I could prove to you, Rob, with indisputable historical evidence that your God condoned the selling of one’s daughter for financial profit (Exodus 21:7-11) or that he ordered the targeted killing of thousands of innocent children (I Samuel 15:3), that would most likely not change your mind in the slightest about your god’s goodness or his existence. Why? Because your belief is not based on objective evidence. It is based on the subjective “testimony of the Holy Spirit” in your heart. Until you objectively evaluate the reality of the presence of a “spirit” inside your body, no amount of objective evidence will ever change your mind. Here is what I suggest you do: Test the spirit. Do what the Bible tells you to do and test the spirit. Test the “spirit” that you believe lives in your body and gives you secret knowledge and life direction. Test this spirit with the same tests you would advise someone of another religion to do to prove the reality of their god or gods. If you do this, I believe that you will be unable to give good, convincing evidence that the “spirit” inside you is anyone other than…YOU…talking to yourself. How could any being, human or divine, with even an ounce of goodness in their character, condone or tolerate selling one’s daughter into slavery??? Rob: You show that you are biased in your view of God and His word. If you were a sincere seeker of truth then you would want to understand what these verses of scripture really mean, in context with their background and the traditions of people at that time. By drawing out a particular verse of scripture without seeking to understand it, or have it explained to you, it is easy to see that you have only one agenda: to impugn God. I find your comments quite disingenuous. Genuine seekers of truth welcome a detailed explanation. Scoffers, pull out verses of scripture with no context and mock God. You don’t understand God or His word because you don’t really want to understand. This is most unfortunate, but over time as I have read many of your comments, It is easy to discern now what your true intents are. 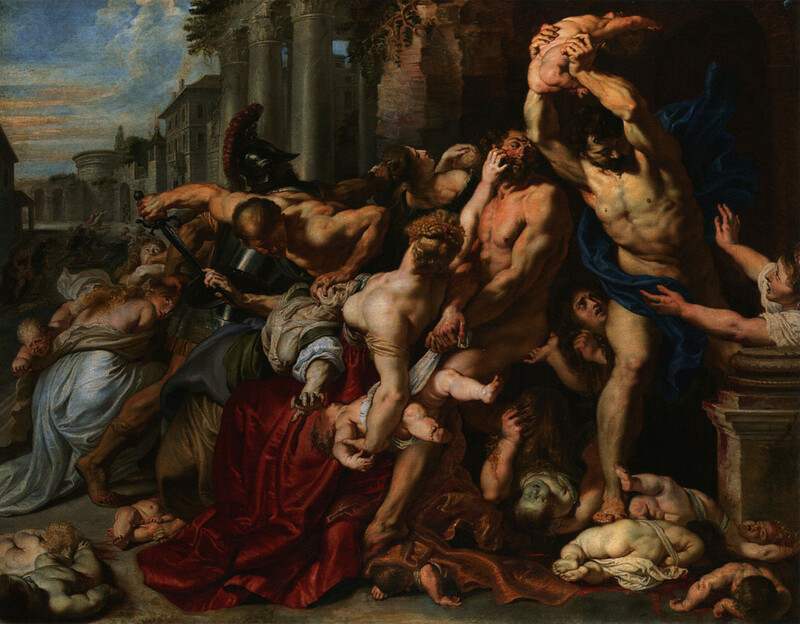 The slaughter of the Canaanites. I explained to you that God did not approve the selling of a daughter. This was the practice of the culture of Jews at that time, for reasons of poverty. Moses gave this command to that generation, not to the whole world. Did you read the article? There is not a single place in the Bible where God states that we should take slaves. There are several places where we see that people take slaves, and because of the hardness of their hearts, God institutes commands for how they must treat these persons. God did not institute “targeted killing of thousands,” He brought judgement to wicked populations of people who refused to cease from their evil. As God, He is perfect in every way and all of His judgements are right and just. If a judge does not condemn the guilty and execute a sentence against the unrighteous, he is an unrighteous judge. We would not want to live in a country where evil is not punished and justice is not served. “And Moses said to them, “Have you spared all the women? 16 “Behold, these caused the sons of Israel, through the counsel of Balaam, to trespass against the Lord in the matter of Peor, so the plague was among the congregation of the Lord. 17 “Now therefore, kill every male among the little ones, and kill every woman who has known man intimately. 18 “But all the girls who have not known man intimately, spare for yourselves.” (Numbers 31:15-18). 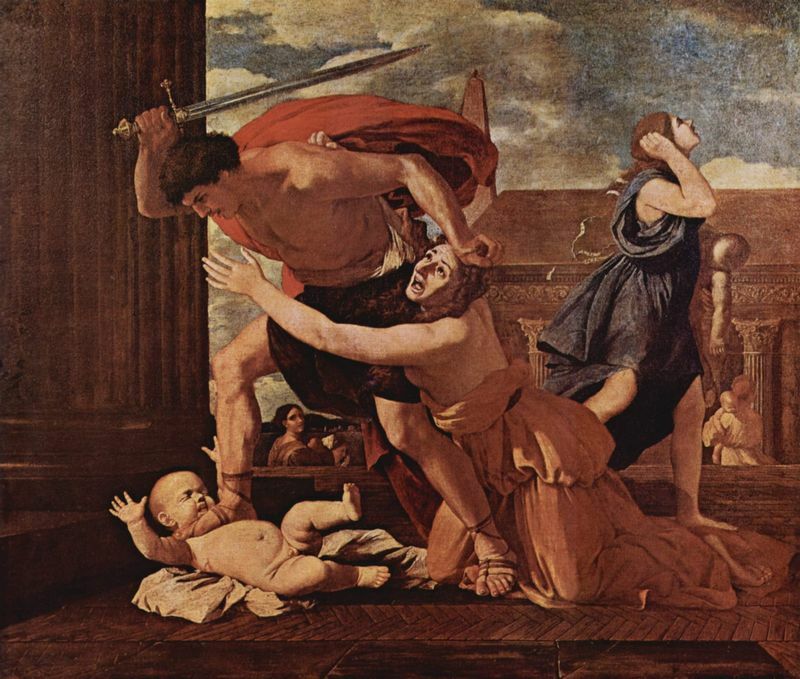 The Canaanites were brutal, vicious people who sacrificed their children to Molech. God warned these people for nearly 900 years before He brought their destruction. How long are you willing to wait when someone wrongs you or your family? God is very patient and kind and gives people a very long time before He brings judgement. When they do not listen and turn from their sins, He does bring judgement, as He should. My belief is not based upon feelings or subjective evidence. I have written over 2200 articles and published 31 books about empirical evidence which proves that God exists, He is good, and earnestly wants to save people. It is people like yourself who deny God even though you see the universe He created, enjoy the life He gave you, and then shake your fist in His face and say He is unjust, and condemns innocent people to death. God has given us evidence but you do not accept the evidence. 1. The universe God created is evidence He exists. 2. The Bible is the word of God and adequate instructions for Godly living. 3. The appearance of Jesus on earth, proves that God exists and allows us to see what He is like and what He requires of us to have a relationship with Him. You do not accept God’s evidence. This does not change the fact that He has provided you with everything you need to believe. On your judgement day, you will not be able to say that you didn’t know that God exists, or that He did not prove Himself to you. You will have nothing to say, because you will know, that He knows, you knew. Being burned alive…forever! A “righteous” judgment for the crime of ancestral forbidden fruit eating and the “thought crime” of refusing to believe that a first century Jewish peasant is the Master and Creator of the Universe??? You are the one that has committed wrongs by impugning the name of God and have misrepresented Him. You have rejected His love for you and gone out to tell people they are foolish to believe God is good or that He exists. 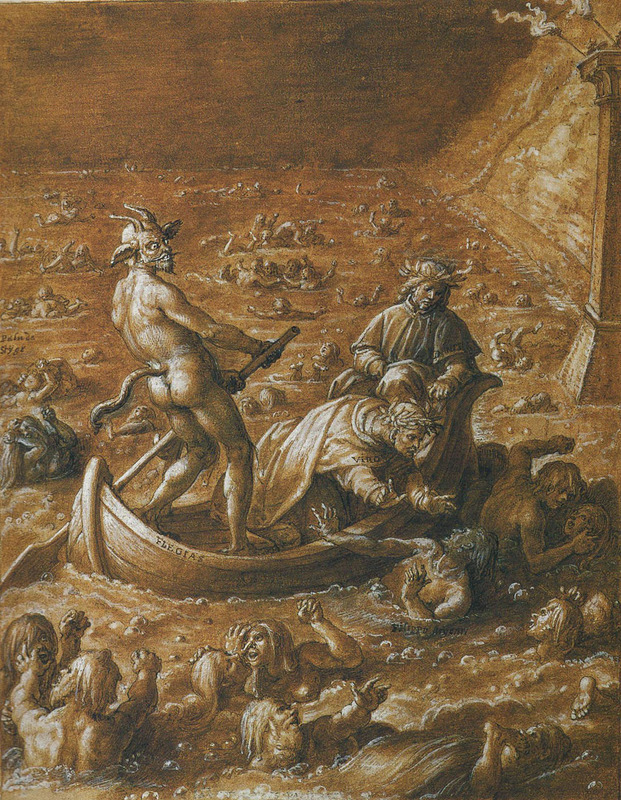 Jesus said that those who spend their lives leading others away from Him, and cause them to loose their faith, as you are trying to do, “It would be better that they were never born…” God takes personal offense at your constant articles that you write to impugn His name and make people stop believing in Him. You have made yourself the enemy of God. Instead, notice how good the Lord is; He came to earth and died for you and gave up His life to save you. Stop your hatred of God, turn from your sins and receive Christ so that you might be saved from the judgment to come. I implore you! Your idea that trust in Christ is simply a inner emotion that we believe in a Holy Spirit that is not real, and we depend only upon our feelings for faith, is absolutely not true. Perhaps this is why you stopped believing; because you did not have knowledge of the vast evidence, but only relied upon your feelings. These feelings changed when you had doubts, and you had no training in the evidence to support your doubts. 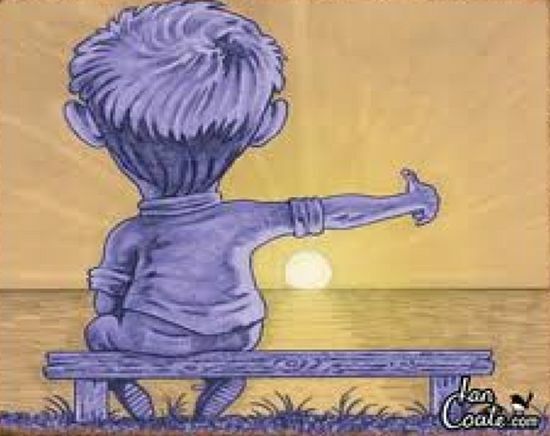 Dear Christians: Imaginary friends are not real. Yes, they can give you great peace and comfort, but they are not real. Give them up! You will be alright without them. We should believe because God has left us such great evidence for faith. He created all that exists and left us His word to give us evidence for faith. Finally, God sent His Son into the world to die for our sins, and left a visible proof that He exists and He wants to save those who will trust Him. I believe because the evidence compels me to believe. You should too. Gary’s summary of this discussion: Notice that the fundamentalist Christian’s last line of defense in every discussion with non-believers is an attempt to instill fear of the unknown. None of us knows for sure what happens after death. Christians and other religionists pounce on this uncertainty and attempt to scare us into accepting their ignorant, Bronze Age, superstitious nonsense…just in case they are right. This is called “Pascal’s Wager“. This concept refers to the belief that it is a much safer bet to believe in God and be wrong, than to not believe in God and be wrong. The latter could result in your eternal damnation in the fires of Hell! On the surface, makes sense, right? The problem is, there isn’t just one god. And if you have spent anytime like I have looking at the evidence for the major world religions, you will see that the evidence for the claims of Christianity are no better than the claims of other world religions (in fact, it is worse than many of them). There is no safe bet. We must believe based on evidence, not fear! There is nothing that will convince this poor man that his beliefs are evil superstitious nonsense. If a person cannot recognize that the targeted slaughter of little children is evil, what evidence would convince him or her??? I ask you this, dear Readers: How is this fundamentalist Christian’s warped, immoral thinking any different from that of today’s fundamentalist Muslims who murder non-Muslim children in the name of their god? The god of the Bible is evil. But the Good News is: the overwhelming evidence demonstrates…he does not exist! Next postHow Would an Observer Distinguish a Jewish Resurrected Body from a Greco-Roman Ghost? Round and around we go. Reading this is a tidbit maddening. My eyes are twitching—- Thank you for sharing and reminding me yet again, of the mental gymnastics folks use to stay in their belief system. Errrrrggghhhh. Thanks for the comment, Stacy. Yes, it shows just how intensely religion brain-washes people. The same Christians who denounce today’s fundamentalist Muslims for barbaric behavior, condone and defend the very same behavior in their holy book. 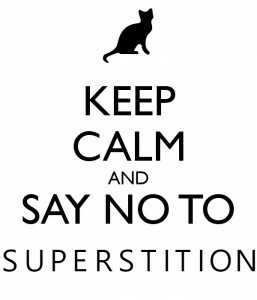 All superstitions are dangerous, but some are deadly! Wow Gary. That’s about all I can really say. I’ve read through a few of his posts that he suggested for me, and it seems you managed to find yourself some serious level of apologetic crazy when you found this guy. Yes, Rob is very much a passionate (brain-washed) fundamentalist Christian. What I always, and continue to, find fascinating about fundamentalist Christians is how their thinking looks so much like the kinds of thinking that comes from conspiracy theorists. Everything is evidence for their absurdities, and everything that might disprove their views is also evidence for their absurdities. It’s really quite sad how muddled their thinking is.